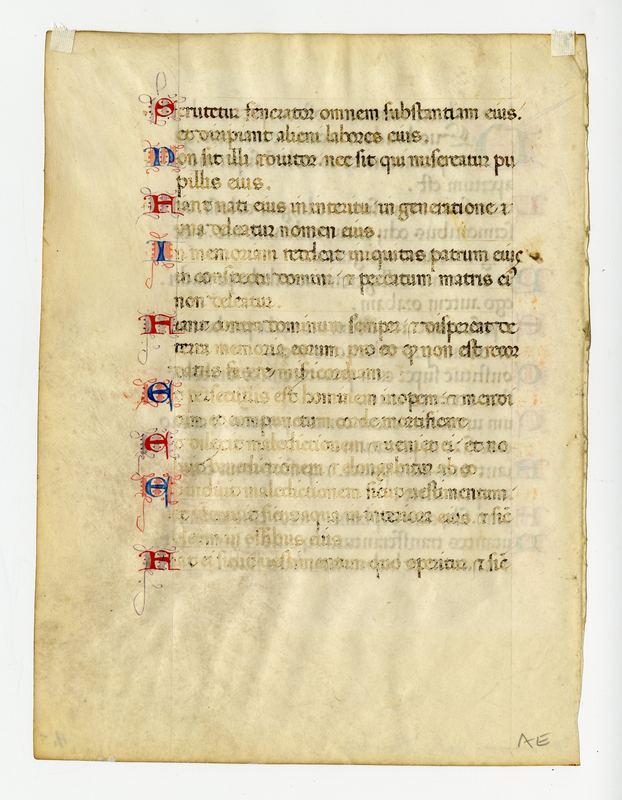 Denison already owns a leaf from this same source manuscript (Fifty Leaves from Medieval Manuscripts portfolio box, item 32). Other leaves from the same source manuscript are owned by the University of Texas at Austin, the Franciscan University of Steubenville, and the University of Illinois. Unlike the leaves chose for inclusion in his boxed portfolios, this leaf does not contain musical notation-a glimpse into the method through which Ege selected his sale materials. 300 dpi, JPEG file. 264X198 mm, written area 170X122mm. SIngle column, 20 lines, beginning "-lum deducet inimicos nostros." 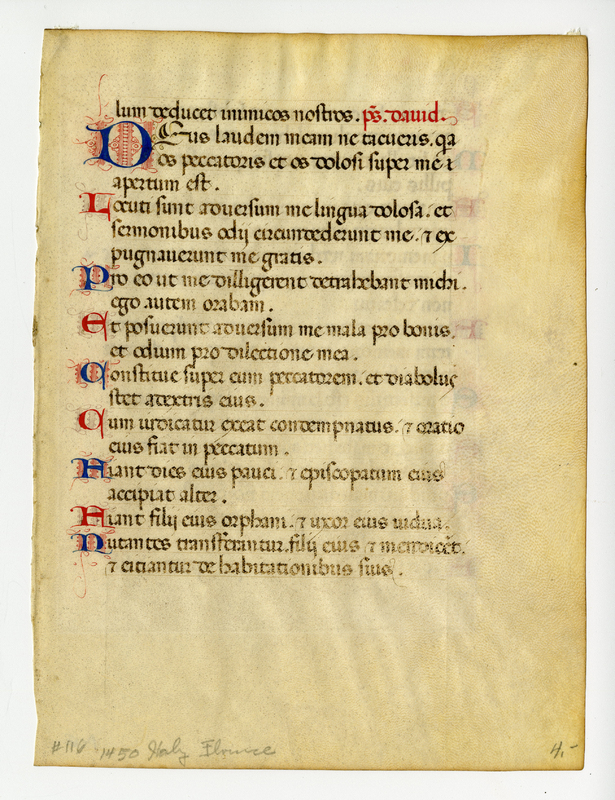 “E0102 Leaf from a Florentine Psalter and Hymnal,” Digital Exhibits | Denison University Archives & Special Collections, accessed April 23, 2019, http://exhibits.denisonarchives.org/items/show/7.